The Global Cement and Concrete Association (GCCA) has announced today that it is formally joining the Concrete Sustainability Council (CSC) – adding its support to the only world-wide industry specific system which certifies the sustainability performance of concrete plants and their supply chain across the globe. Concrete industry partners from Europe, USA, Latin America and Asia initiated the development of a global responsible sourcing certification system, designed to help concrete, cement and aggregate companies obtain insight in the level to which a company operates in an environmentally, socially and economically responsible way. Concrete is the world’s most widely used building material. 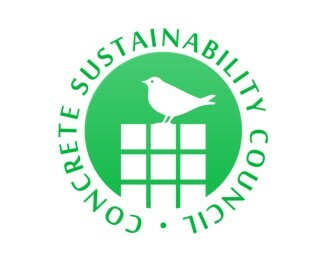 By creating a certification system for responsibly sourced concrete, the Concrete Sustainability Council (CSC) promotes and demonstrates concrete as a sustainable building material to enable informed decision in construction. It is our vision to build a sustainable, safe, durable and comfortable future. Launched in January 2018, the Global Cement and Concrete Association (GCCA) is dedicated to developing and strengthening the sector’s contribution to sustainable construction. The GCCA aims to foster innovation throughout the construction value chain in collaboration with industry associations as well as architects, engineers and innovators. In this way, the association demonstrates how concrete solutions can meet global construction challenges and sustainable development goals while showcasing responsible industrial leadership in the manufacture and use of cement and concrete. The GCCA is headquartered in London, England. It complements and supports the work done by associations at national and regional level.